Oven Free Energy Bites (NO BAKE!) YUM!! 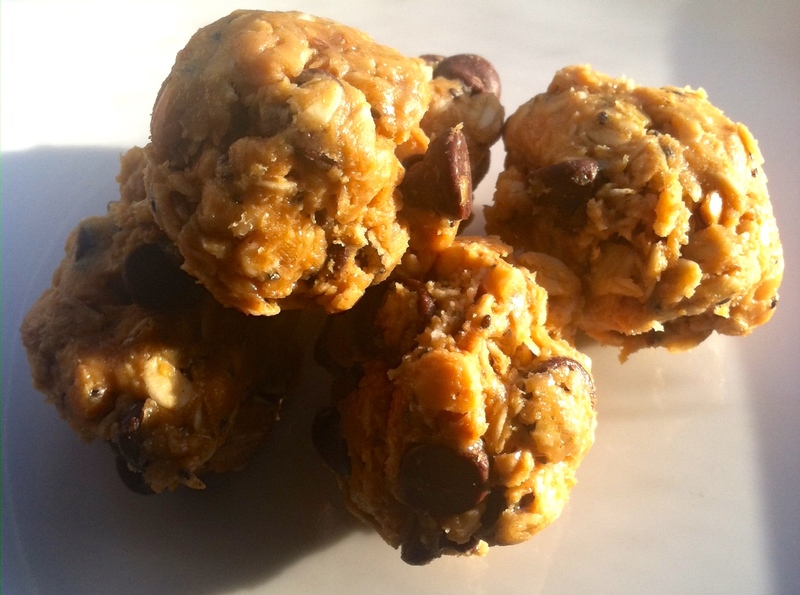 A sweet snack packed with protein, oatmeal, seeds, dark chocolate and honey! No flour, no sugar…no OVEN required! I have seen several variations on these “energy bites” and had to try my own take on them. They were SUPER easy. The thing is, good or bad, they tasted just like awesome cookie dough. If you look at the ingredients, it is far healthier than cookie dough, but I would not go so far as to call it “health food”. Nonetheless, I did find them a great filling pre and post run snack with lots of protein, fiber and carbs. The bonus cookie dough taste has me eager to make another batch. Add all the ingredients to a mixing bowl and mix well. Place the mixture in the fridge for about 15 minutes to chill–it is easier to work with the “dough” if it is chilled. Then, roll into balls or use a small ice cream scoop/melon baller to shape. A handy reference, these should be about donut hole sized. The up side of these, tasty! My kids would think it just as great to set these out for a snack than a plate of cookies! I may try to create them using an equal mix of dried cherries and chocolate chips next time. For those who do not like chips, only dried cherries, no additions, or a peanut butter chip could work, too! The downside is that these need to be stored in the refrigerator in a sealed container:( They are great for pre and post workout, after school snacks, etc. and in a lunch sack with an icepack, but they can not get too warm. YUM!! 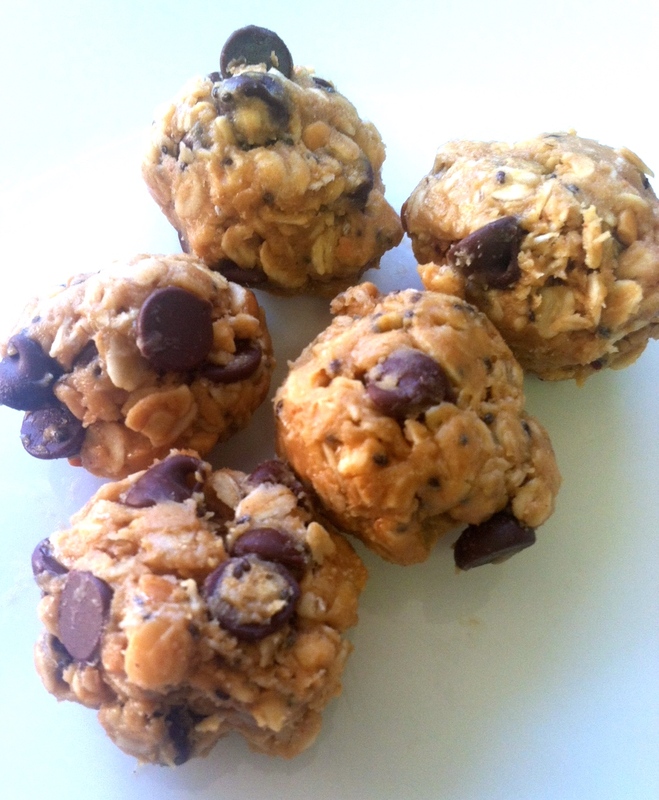 A sweet snack packed with protein, oatmeal, seeds, dark chocolate and honey! No flour, no sugar…no OVEN required!